Drag, zoom, flip, pan, draw, and watch together in Real-Time. Share your whole screen or specific application for effective demonstrations or remote control. For whatever purpose you choose, you can video chat with as much attendees as needed. Text chat with the private discussion option. Help attendees clarify items that cannot be discussed openly. Create and modify multi meeting desks with URL that's easy to remember and access. 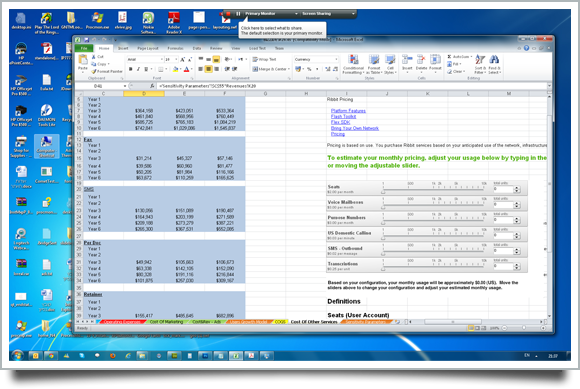 Organize documents and media in advance for a convenient and quick access during the meeting. 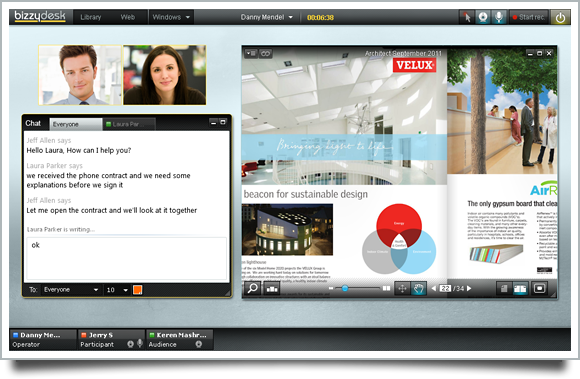 Talk live to attendees using a P2P video chat which delivers high quality audio & video. Create a remarkable experience of sharing desktop and multiple files in perfect synchronization.